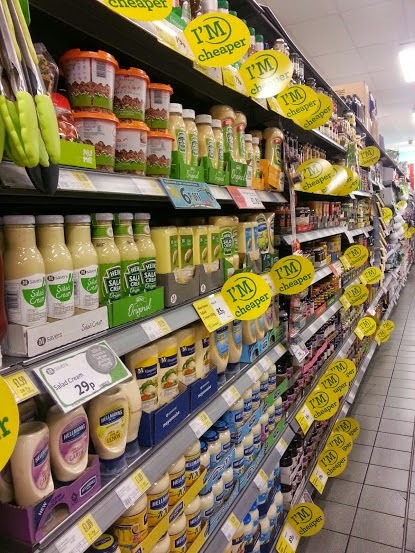 So how much can you get for £80 these days? 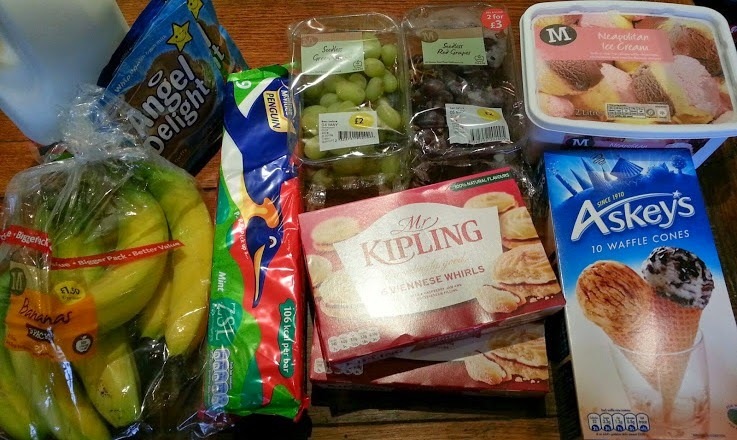 Can I feed my family of 9 for 3 days over a Bank holiday - including treats? 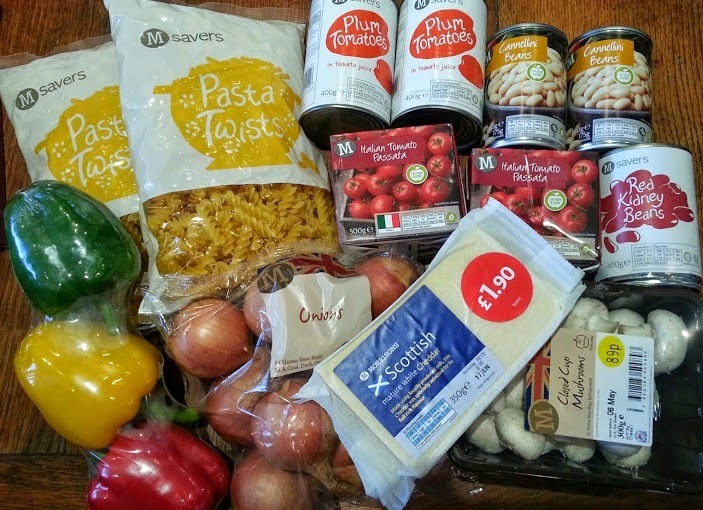 Along with a bunch of other Britmums Bloggers, very kindly gave me vouchers to go and buy our food for the Bank Holiday weekend and test if their produce is just as good now that they've lowered everyday prices. How could I refuse? It turns out it can be done, and easily. 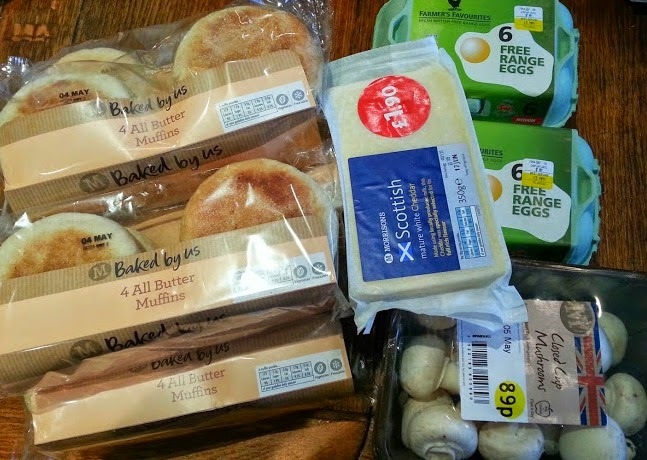 I bought enough food for 2 egg muffin breakfasts, 3 rounds of sandwiches/cheese on toast, 4 main meals with dessert and snacks for the evening for 9 people. 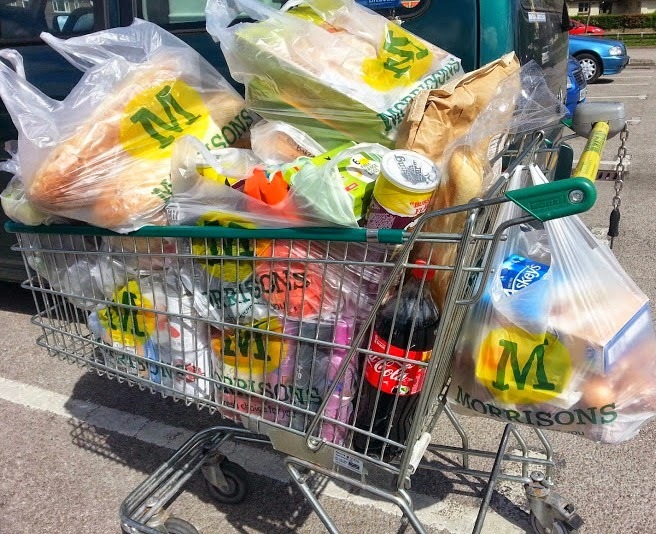 Clutching my £80 in vouchers and my cashcard, I left my recovering partner at home and dashed off to a very small Morrisons in Bolton so I could run a couple of errands at the same time, but be back quickly. It's my Bank holiday weekend too, plus I was going to be busy with Blog On - so my intention was to buy things that make my life easier. I certainly managed a good trolley full - my bill was £97. I was very pleased with that. For the purposes of this experiment and in general when I'm shopping or cooking I need 1 portion each for everyone, except the 2 small boys who have a portion/serving between them on average. So most meals need 8 servings if everyone's home. 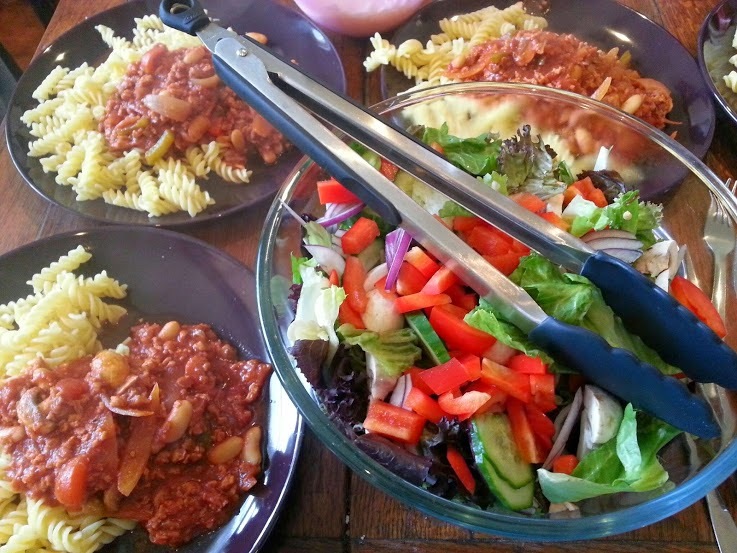 Monday we had a cooked lunch because I was going to be out driving my daughter at teatime. I decided to make a family favourite one-pot meal. 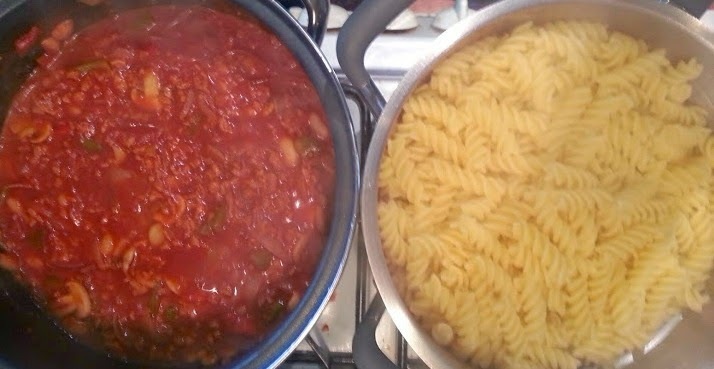 Pasta and sauce (it's 2 pasta dishes in a row, I know, and if I'd been thinking I'd have got rice instead). My little tiny Morrisons didn't have any vegetarian mince, but the bigger stores do, so I added a £3 bag from the freezer for protein. We eat this around once a week and I vary the amounts of veg and beans, chilli powder etc to have it either herby, or spicy, depending on my mood and the weather. It really is as simple as chopping an onion (and maybe a clove or 2 of garlic) and frying them in a little oil. Then add the other veg and some seasonings of your choice and fry for a minute or two longer. 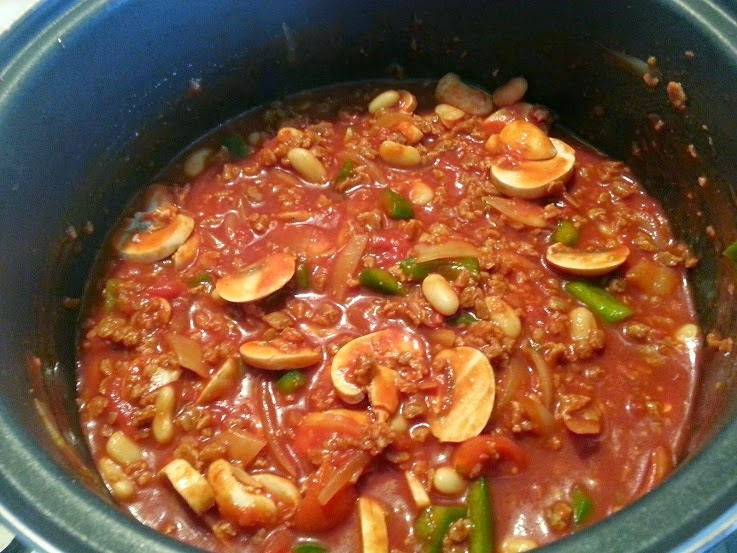 Add your mince and fry for another couple of minutes before adding the beans and passata. Then leave on a low heat or in a medium oven for around an hour to let all the flavours soak into one another. You can even cook this dish in a slow cooker if you wish - and you can pre-prepare it and heat it up when you need it. I served mine with grated cheese and a big bowl of salad. Total cost per meal £9.60. Cost per serving 96p - we had 2 portions leftover. The ketchup wouldn't stand up! This was a Bank Holiday weekend and so it wouldn't be right without treats! Snacks and Pop - and special 'holiday' breakfast cereal. I had a little something for the grown ups to have with that Coke in the cupboard already. I was really impressed. 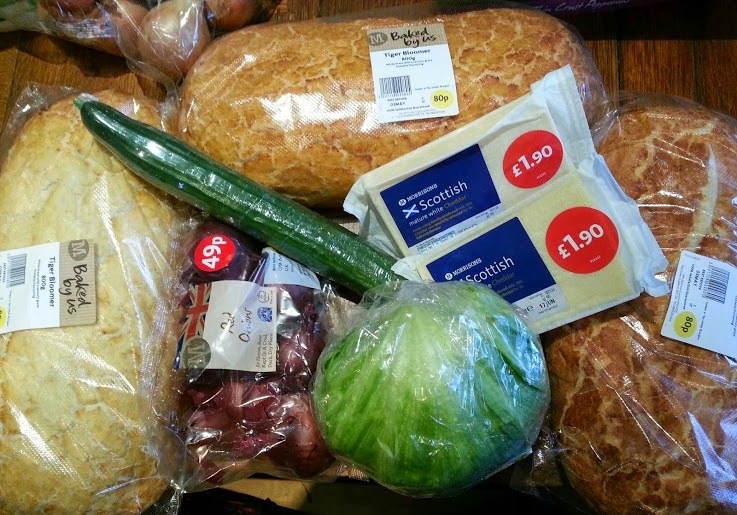 I've always trusted Morrisons for their good quality and use of British produce, and high meat standards. 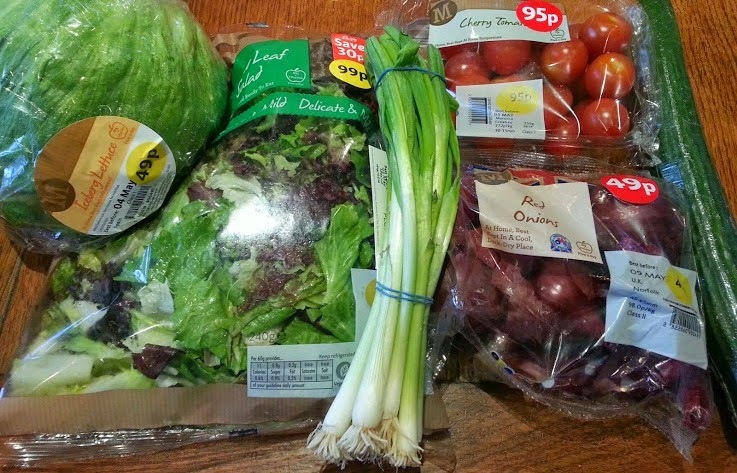 My Morrisons really is very small, but I found things I've had trouble buying elsewhere, and at a really good price. Ordinarily over a holiday we would have gone to more effort to have a special meal at some point and bought a joint of meat for the carnivores, but there were so many of us busy last weekend we didn't think we'd be able to get everyone together at once! Even though I was given £80 in vouchers and could push the boat out, I decided to remain pretty true-to-form. I knew I was careful with my shopping, I don't have a lot of choice over that, but I'm really impressed at the low cost of the meals. I DID spend less than I would usually. 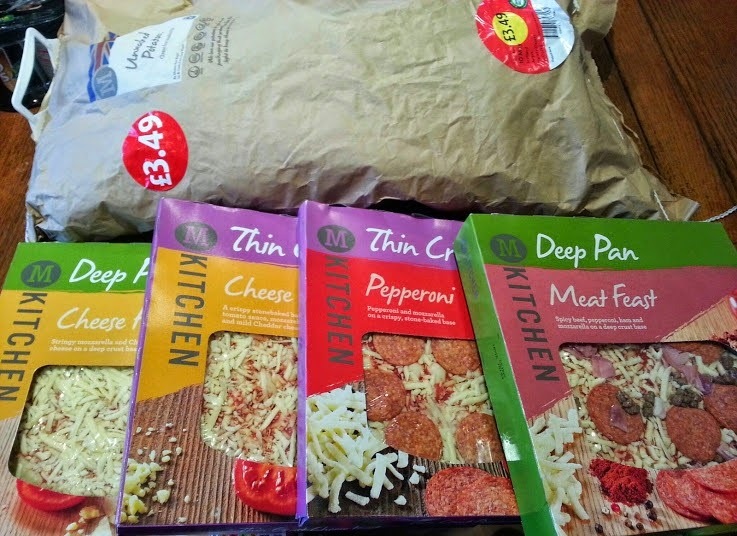 Except for the pizza, the meals are below the 'feed 4 for £5' which is seen as being frugal, even with dessert. 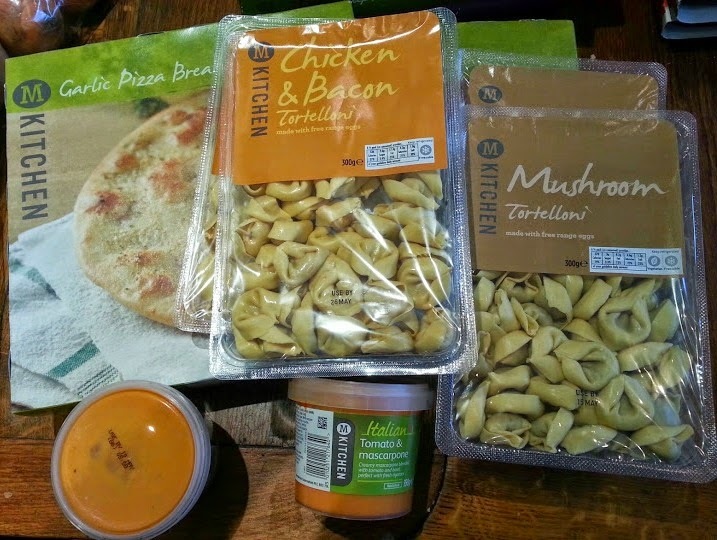 I was also impressed with the range of products available, and the quality was every bit as good as I'd expect from Morrisons. The salad was lovely and fresh and kept well - it certainly wasn't frost-bitten like in some stores, and the pizzas had masses of toppings all over them - not just a sprinkle except for one corner. Angela from The Life of Spicers family barbecue. 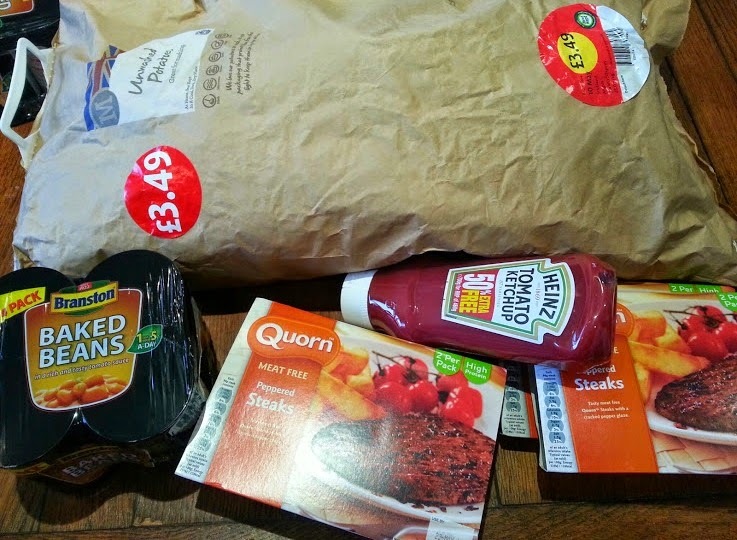 This post is an entry for the #MorrisonsMum (or #MorrisonsDad) Summer Recipe eBook Challenge sponsored by Morrisons, which has recently cut prices on over a thousand every day products. Find out more here with the price checker tool. 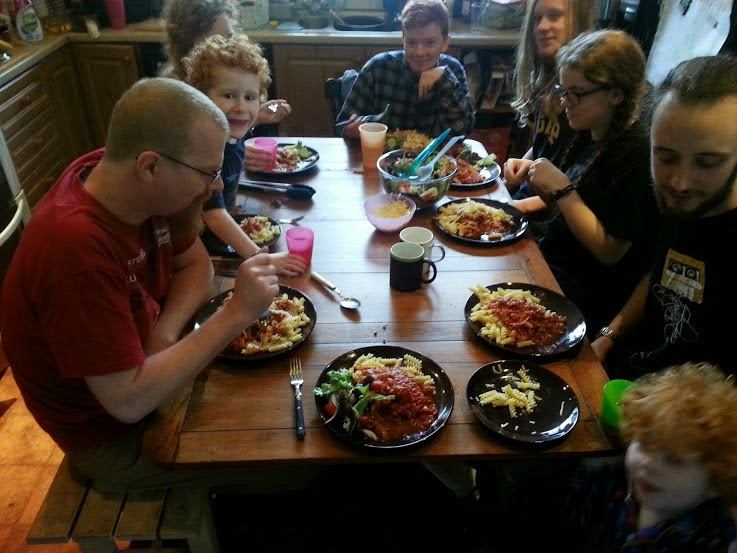 I'm entering my Pasta meal into the Light Summer Family Meals category. 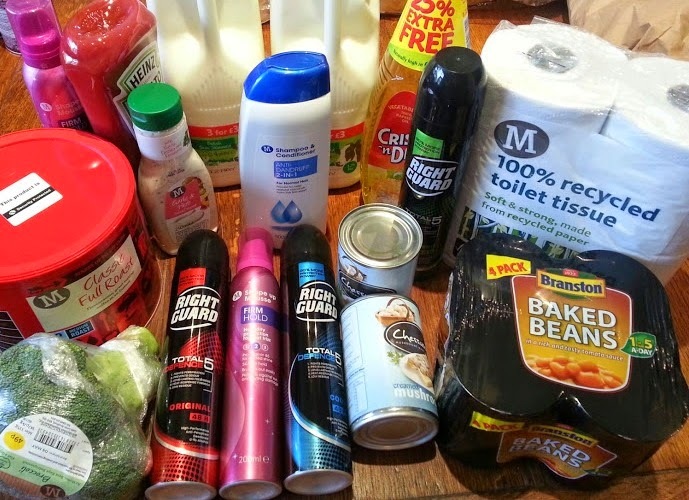 I was sent my vouchers from Britmums and Morrisons and could buy whatever I chose to compare the new lower Morrisons prices with my usual shop. Cheers for that! I think I will. 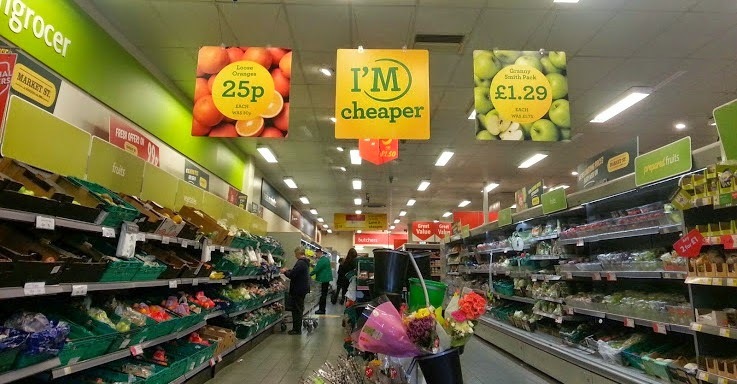 I hadn't realised how much range they had at the little Morrisons, and how good the prices were - it's nice to know it's comparable with the bigger Morrisons supermarkets! Wow, that's amazing that you managed to feed your house for the full weekend on just £97.00! I'll need you to come and do my shopping for me LOL! Wow you got loads! Having that amount of food to cook in one go would scare me but it sounds like you have it down to a fine art! Filled pasta is always good for a quick meal isn't it. 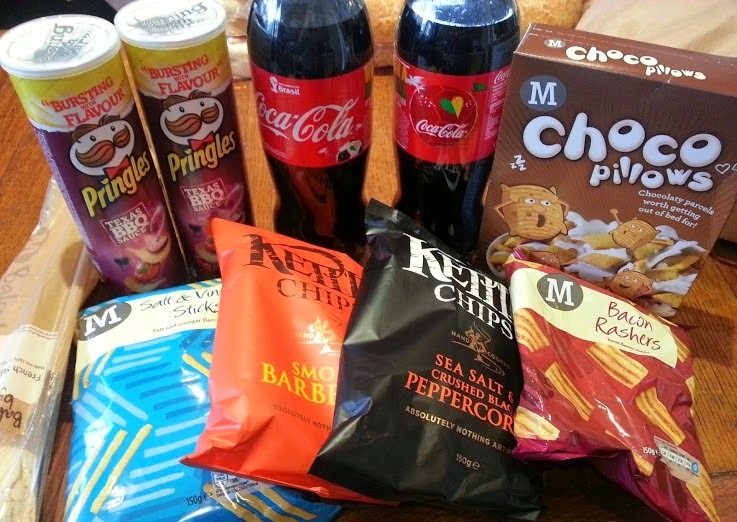 You did so well with your shop, I wish Morrisons was a bit closer to me to try out. 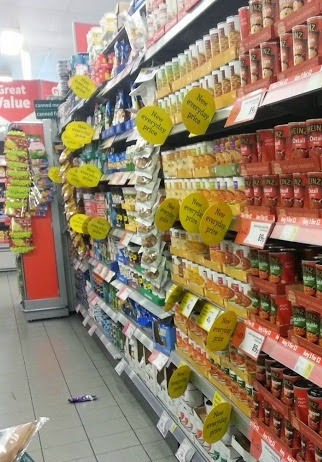 A great shop, and some nice looking speedy meals which we all need from time t time. I saw the spuds and was tempted, but I think they would all go off before we could eat them all! Great value though.